Lifetime Equity Release Mortgages and Home Reversion Plans, with a Home Reversion Plan you sell all or part of your property at less than its market value in return for a tax free lump sum, a regular income, or both, but stay on in your home as a tenant, paying no rent. With a Lifetime mortgage you retain full ownership of your property and depending on the product chosen you may pay no monthly mortgage payments so the interested is paid along with the original amount borrowed when the property is sold this is known as a rolling up the interest, you may pay the interest each month charged on the amount borrowing, or you may chose to pay ad-hoc payments when you can. We only offer advice on Lifetime mortgages therefore my advice and service is restricted and not independent when it comes to advising on Equity Release Mortgages. If your Equity Release product has an option to roll up the interest (you do not make any interest payments) the mortgage lender may not have to carry out affordability checks to see if you can afford to make interest payments. The minimum age at which you can take out a lifetime mortgage. Usually it’s 55. We’re all living longer so the younger you are at the start of the mortgage the more the overall cost of the borrowing it is likely to cost in the long run, especially if you chose a roll up interest mortgage (no mortgage payments are made each month so the interest being charged rolls up over the term of the borrowing and is repaid along with the original borrowing amount when the property is sold). . When considering a lifetime Mortgage you should also consider other options such as downsizing to a smaller property, a personal loan, or if releasing a lump sum from your property will effect any state benefits you are in receipt of. The maximum percentage you can borrow can vary between the different lenders available. For maximum amount to borrow again this can vary between lenders and their products. The amount of equity you may be able to release is dependent on your age and the value of your property at the time of application. The percentage typically increases according to your age when you take out the lifetime mortgage, while some providers may offer larger sums to those with certain past or present medical conditions. Interest rates must be fixed or, if they are variable, there must be a ‘cap’ (upper limit) which is fixed for the life of the loan (Equity Release Council standard). You have the right to remain in your property for life or until you need to move into long term care, provided the property remains your main residence and you abide by the terms and conditions of your contract. (Equity Release Council standard). The product may have a ‘no negative equity guarantee’. This means that when your property is sold, and agents’ and solicitors’ fees have been paid, even if the amount left is not enough to repay the outstanding loan to your provider, neither you nor your estate will be liable to pay any more (Equity Release Council standard). You may have the right to move to another property subject to the new property being acceptable to your product provider as continuing security for your equity release loan (Equity Release Council standard). Different lifetime mortgage providers may have slightly different thresholds. A lifetime mortgage is designed to be a long term arrangement and there may be early repayment charges if you wanted to repay the amount you borrowed back within a certain period of time, these and other features of the product would be explained and pointed out to you at the time of making a recommendation to you. Whether you can pay none, some or all of the interest. If you can make repayments, the mortgage will be less costly. However, with a lifetime mortgage where you can make monthly payments, the amount you can repay may be based on your income. Providers may have to check if you can afford these payments. My advice would help you make an informed decision and will tell you straight away if equity release isn’t right for you. What to consider before you take out an equity release plan. You should always consider other ways to release equity from your home such as selling and downsizing before entering into a lifetime mortgage. Being qualified to give advice on Lifetime Equity Release Mortgages we will search the whole market to find the best plan for every customer. 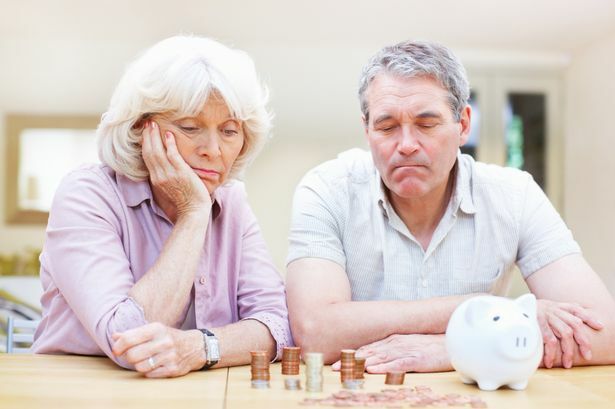 Equity Release plans, aren’t right for everyone. We always welcome family members to attend your consultation to find out how their inheritance would be affected. All plans will reduce the value of your estate. I would also advise you which is any benefits you may be in receive of, if any, would be affected. Equity Release may affect your tax position and could affect your entitlement to means tested benefits. Most people who take out equity release use a Lifetime Mortgage usually you don’t have to make any repayments while you’re alive, interest ‘rolls up’ (unpaid interest is added to the loan). This means that the debt can increase quite quickly over a period of time. • The minimum age at which you can take out a lifetime mortgage. Usually it’s 55. We’re all living longer so the earlier you start the more it is likely to cost in the long run. • The maximum percentage you can borrow. You can normally borrow up to 60% of the value of your property. How much can be released is dependent on your age and the value of your property. The percentage typically increases according to your age when you take out the lifetime mortgage, while some providers may offer larger sums to those with certain past or present medical conditions. • Interest rates must be fixed or, if they are variable, there must be a “cap” (upper limit) which is fixed for the life of the loan (Equity Release Council standard). • If the product has a “no negative equity guarantee”. This means that when your property is sold, and agents’ and solicitors’ fees have been paid, even if the amount left is not enough to repay the outstanding loan to your provider, neither you nor your estate will be liable to pay any more (Equity Release Council standard). • You have the right to move to another property subject to the new property being acceptable to your product provider as continuing security for your equity release loan (Equity Release Council standard). Different lifetime mortgage providers may have slightly different thresholds. • Whether you can pay none, some or all of the interest. If you can make repayments, the mortgage will be less costly. However, with a lifetime mortgage where you can make monthly payments, the amount you can repay may be based on your income. Providers will have to check that you can afford these regular payments. • Whether you can withdraw the equity you’re releasing in small amounts as and when you need it or whether you have to take it as one lump sum. The advantage of being able to take money out in smaller amounts is that you only pay the interest on the amount you’ve withdrawn. If you can take smaller lump sums, make sure you check if there’s a minimum amount. What to consider before you take out an equity release plan – You should always consider other ways to release equity from your home such as selling and downsizing before entering into a lifetime mortgage. Being qualified to give advice on Lifetime Equity Release Mortgages we will search the Lifetime mortgages market to find the best plan for customers but do not offer advice and recommendation on Reversion mortgages. I would also advice you which is any benefits you may be in receive of, if any, would be affected. Equity release may affect your tax position and could affect your entitlement to means tested benefits. With Equity release mortgages my advice and recommendation service is restricted to Lifetime mortgages only, therefore I do not offer advice on Reversion mortgages unless you decide to go ahead, my service is completely free of charge. Because Equity Release is a lifetime commitment, it is only expected to be repaid upon your death, or entry into long-term care. We will explain the early repayment charges which may apply if you decide to repay the plan early. My advice will also help you to understand how the compound interest on a lifetime mortgage adds up, and how the amount you owe can grow quite quickly. Remember a lifetime mortgage is secured against your home. You should always think carefully before securing a loan against your property. My advice is restricted to lifetime mortgages. Unless you decide to go ahead, my service is completely free of charge. We know that everyone’s financial needs are different. That’s why we take pride in providing a personal Independent Advice service with dedication and understanding of individual circumstances. We will guide you every step of the way until you are completely satisfied with the outcome of the service. David Clark Financial Solutions are dedicated to customer service. We make it our policy provide an independent Mortgage and Financial Advisor service that will seek out the best options for our customers. The property ladder can be a tricky place and that's why we always provide compassion. There are always hurdles to jump over but we are there with you every step of the way to help you reach your end goal.